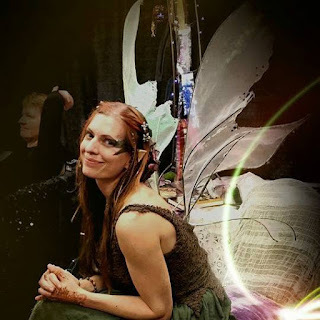 Faery frolicking at the Fernie Brae on Sunday for the Hawthorne Street Fair was ridiculously fun. So grateful to all the friendly faces who came to support the faeries and the Brae. Sparkle on! August is fluttering by so fast. 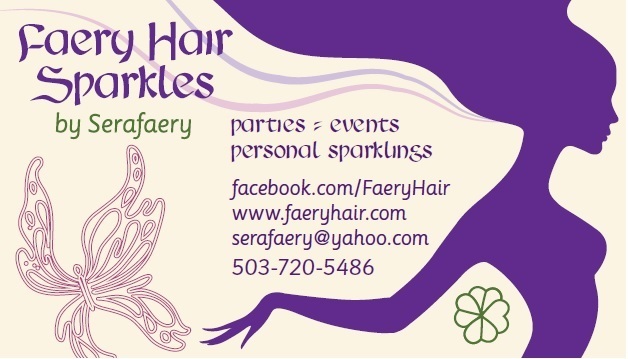 If you have ideas for good times and locations for pre-Burning Man and pre-Faerieworlds faery hair events, please drop me a note at serafaery@yahoo.com - I will hopefully have multiple events to try to capture everyone who needs sparkles before the Burn or Fae Fest. <3! Wednesday, August 19th, 5-7pm, Belmont Station, 4500 SE Stark, drop in! Friday, August 21, 7pm-9pm, Offbeat Belly Dance at the Analog, SE 7th and Hawthorne, drop in! Thursday, August 13th, 8-9pm, Belmont Station, SE 45th and Stark near the Portland Nursery, drop in! Friday, August 14th, 6-9pm, Faery Friday at Townshend's Tea, 2223 NE Alberta St. drop in! Blessed Be! 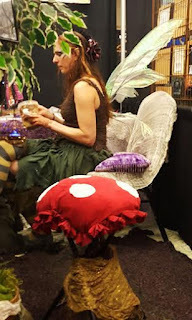 We have landed safely after a weekend on the 2nd Star Festival airship in Florence, Oregon. It was a wild ride, with laughter, tears, music and art, and frolicking with the creatives. 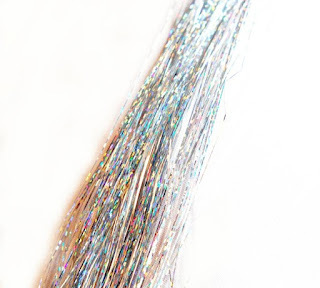 Much faery hair sparkling was had! Toby Froud of Stripey Pajama Productions was there, gifting us with the presence of his puppets, creations, and a screening of his short live action film, Lessons Learned. We also saw Eugene Taiko, stirring Japanese Taiko drumming that lifted my spirits to new heights, especially with their rain song. We paid tribute to our favorite storyteller, Mark Lewis. And so much more. It was a brilliant festival, I can't wait to see how it grows over the years. <3! August Faery Hair Sparkling is in full swing! Come find me at any of the events below, or send me a text, call, or email for a time that works for you! Tuesday, August 11th, 3pm-5pm, McMenamins Kennedy School, 5736 NE 33rd Ave, Courtyard, drop in! 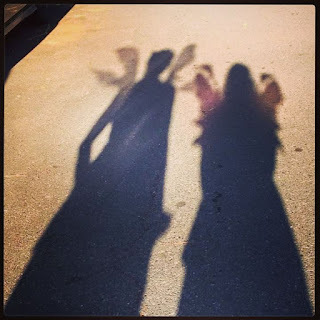 *Sunday, August 30th, 12pm-4pm, the Fernie Brae, 41st and SE Hawthorne, with a childrens fairy camp, portraits, and more. Please join us! Need sparkles on a different day or time? Send a note and let's get together!